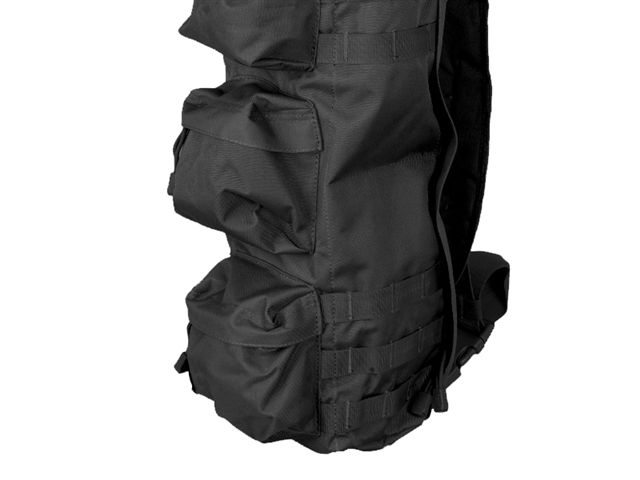 The Lancer Tactical Shoulder Sling Pack Go-Bag (Black) was made for those on the go whether on patrol or travel. 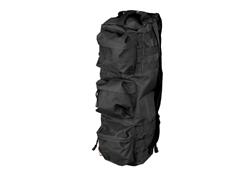 Measuring at 7" x 20" x 9" this bag offers an assortment of storage compartments on a single plane allowing to make use and access its . 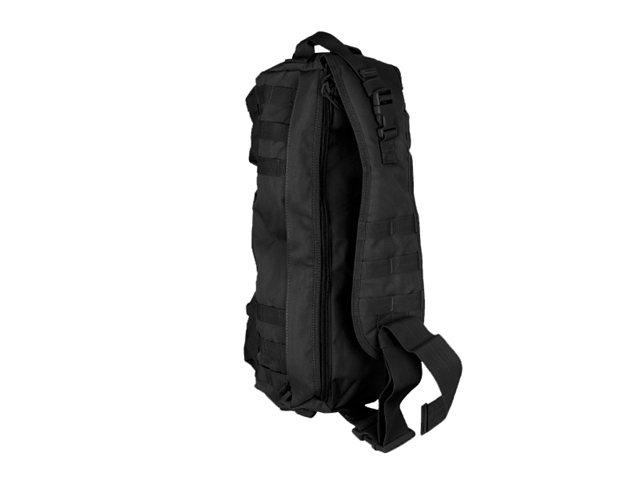 As a shoulder sling bag you easily swing this bag onto your back in one go and then slide the bag over your chest allowing you to access its 3 utility pouches and main compartment right in front of you very easily and quickly. Features a hydration compartment to carry 2.5 Liter sized hydration bladders you may stay hydrated on your trek wherever it may take you. Additional MOLLE panels can be found lining areas on the side of the bag as well as on the wide and padded shoulder strap to allow you to attach additional accessories that you may need. 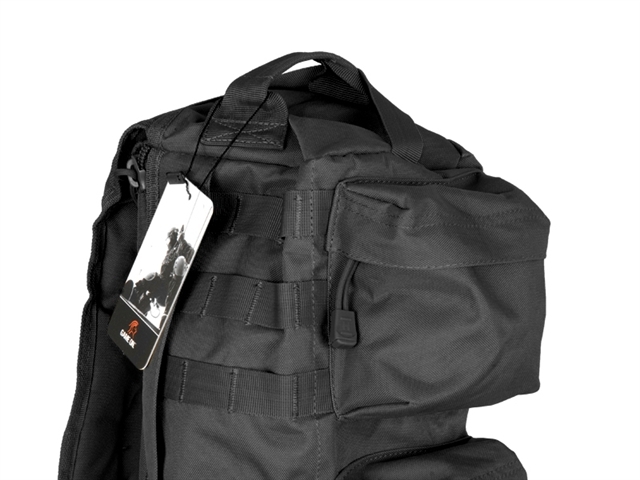 Finished in black and with a 600 Denier construction the Lancer tactical Should Sling Pack will make sure it'll last as long as you out there in the field.